From Dec/ Jan TJ Newsletter Depth of Field Windows. Just for fun, but… “ What’s Your Favorite Go To Stamp“? 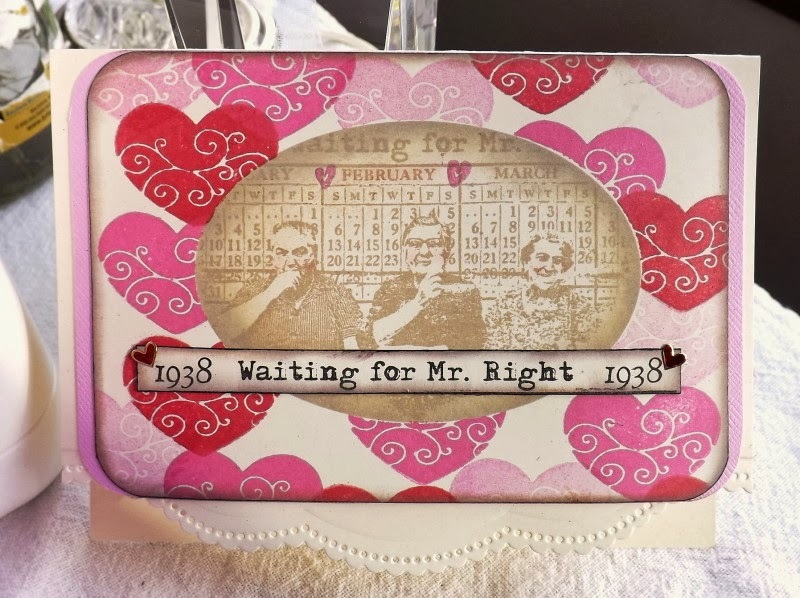 This has to be one of my favorite stamps, it’s from Lost Cost Designs and is call “Waiting For Mr. Right”, and these little ladies have been waiting a long, long time. Each year they seem to pop up in some kinda card or tag. All they really need is some young buck to take them out for ice cream. Can you help them out? Hope you enjoy the card and tag. I have that stamp!!!! 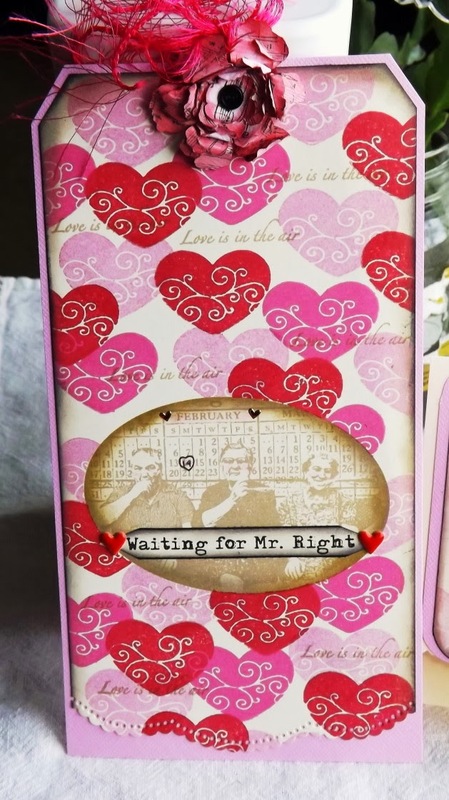 Love this heartfelt tag! What a great background you made for those waiting ladies! I need a hearty background and I do believe you gave me an idea! Hugs!